Call (918) 289-0880 for a FREE Quote! Witness Security serves the Tulsa and surrounding communities of Broken Arrow, Bixby, Coweta, Catoosa, Jenks, Glenpool, Sapulpa, Sand Springs, Sperry, Skiatook, Owasso, Collinsville, and Claremore. Home and business security is our focus, providing monitoring with the best monitoring stations in the country and service technicians if needed within 24 hours. Witness Security takes your security serious and has staff available 24/7 to answer any questions that may arise. Your security is of the utmost importance to us. That is why with over 20 years of experience you can trust your family or business is secured with the best equipment and people in place ready to respond in a moments notice. Providing the best home security possible has a variety of variables that require professional attention. Equipment installed needs to meet UL Listed standards in order to prevent tampering. Practical use by users of any age. Availability to receive notifications quickly and consistently to your phone from the alarm control panel. Speed of processing the signal to the monitoring station. Monitoring as low as $24.99/month for just cellular monitoring and no contract to monitor your system No credit check to get set up. Color intuitive 2GIG touch screen system that talks to you when a door is opened, which has a variety of sound (chime) features to choose from along with the ability to adjust the volume up or down. Keypad has backlighting that is adjustable to either stay on and provide illumination all the time or go dark after a determined time. 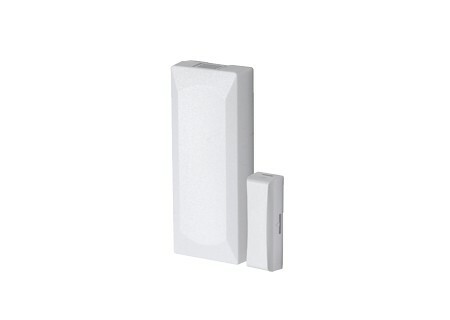 2GIG security system has simple one-touch actions to operate the system. Customize your system specifically to your needs. Menu of options available. Keypad has the weather for your specific zip code, the date and time, and storm weather alerts to provide you of emergency action you may need to take. The 2GIG system has a built-in home automation platform that comes standard in every system which enables you to operate locks, overhead garage doors, lights, thermostats, and more which you can add at a later time if desired. Witness Security’s home package includes 3 door sensors. 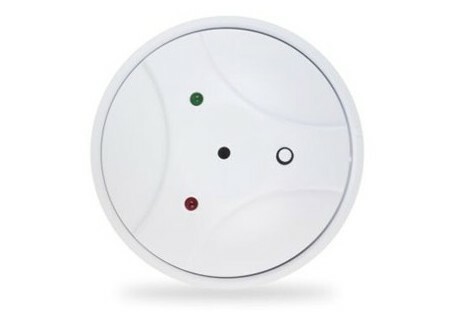 A motion sensor placed strategically in your home to detect movement from anyone in your home or business. Other devices such as key fobs, smoke detectors, glass break detectors, water sensors, and security cameras can be added. The ability to operate your system via your smartphone with an app from Alarm.com which is the fastest, most technologically advanced security system app. Witness Security takes your security serious and provides 24/7 on-call service to every customer. An experienced technician will always be available. A reflective metal yard sign provided with every system. If you are on a corner lot, 2 yard signs can be placed in your yard. 105 decibel siren will sound in the event an alarm is triggered, along with being set up to call the monitoring station which will call the police or other authorities via the most advanced (5 diamond networked set of 6 monitoring stations spread across the United States) central station monitoring in the country. 100% Protection plan which waves all trip charges for your security system maintenance and covers the entire security alarm equipment 100% including such events as lightning, acts of God, and batteries for an additional $7.00/month. This feature can be included with a simple phone call or email. Extremely robust referral program that can enable you not have a monitoring bill. For every person that you refer that becomes a customer, for as long as they are monitored through us, you get a free month of service deducted from your bill divided up into 12 months. 12 referrals equal free monitoring. Window and door stickers are included. 90 day warranty on installation and equipment. Witness Security uses the simplicity of multiple automatic billing options. The business package has everything the home package consists of plus the ability to track employees arriving or leaving when they arm or disarm the system. This system has the ability to have multiple users and options that are more likely to be used by small businesses. Witness Security understands your business is your livelihood, and businesses are not usually occupied during the night hours. We take this into consideration to ensure your business is not left unsecured if an issue may arise and you are not able to arm you system for the evening. Another solid reason to choose Witness Security for your security needs. Each night when employees arm the alarm, lights automatically turn off, thermostat adjusts , and text notifications are sent. 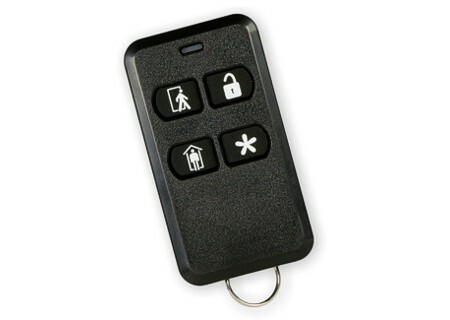 4‐Button Remote gives users the ability to turn the security system ON and OFF before entering the home or after exiting. If there is an emergency, you can turn on the siren and automatically call the central monitoring station. Use with the Universal Garage Door Receiver to open a garage door. Lithium coin battery powered. Designed to fit on a key chain, in a pocket, or in a purse. Wall-mounted, full-color, touch screen interface that provides many of the same easy-to-use keypad functions available on the control panel. It is designed for indoor use only and gives users the ability to control lights, thermostats, and door locks, as well as to view the status of every sensor zone. The system can be programmed to communicate with up to 4 Wireless Touch Screen Keypads. The Wireless Carbon Monoxide Alarm is a 3V battery powered wireless detector intended for use with wireless alarm systems. The detector consists of an electrochemical carbon monoxide sensor assembly coupled to a wireless transmitter. The Wireless Carbon Monoxide Alarm communicates with the Control Panel and can send alarm, tamper and battery condition messages to the system’s receiver. The Glass Break Detector is a fully supervised, tamper-protected, ceiling or wall-mounted unit. It communicates with the 2GIG Control Panel using the 345 MHz frequency. The detector provides a 15 ft (4.6 m) maximum detection range, 360° maximum horizontal sensing angle, and dual-stage glass break detection. 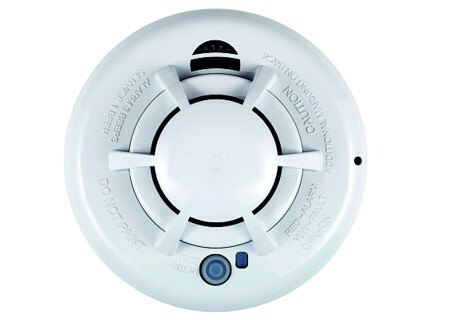 Detects fire with heat and smoke detection and signals the alarm system to notify the fire department. Used in conjunction with our thermostat to shut off the ventilation system when a fire is detected. Wall‐mounted Keypad designed for use as a secondary keypad for the security system. No lights or sounds. We selected the most common items which customers purchased and put them together into several packages to choose from. There is a package for any size home or business. The Protection Plan covers batteries, trip charge, and equipment. Also covers damage due to lighting strikes or surges. Does not cover damage due to remodeling or abuse. Contact us for additional upgrades. Control the temperature of your home anywhere you are from a smart phone. Smart Doorbell sends you a message alerting you when someone is at your home. Monitor and control your home or business in real-time and from anywhere. 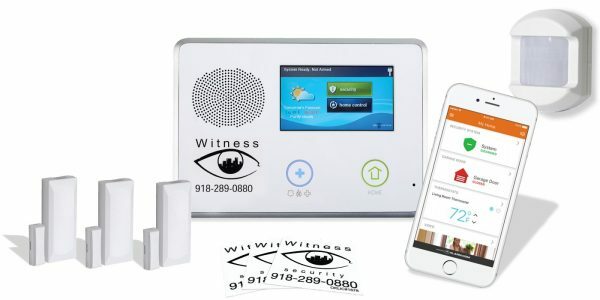 Alarm.com’s interactive security, video monitoring, energy management, and home automation solutions give you instant awareness and remote control for the places you care about most. to refer us, and more. Text 36260 and type the word wit in the message. Please tell us about your experience with Witness Security. How can we improve our service? I am an existing customer. I am not an existing customer. Would you like a Sales Representative to visit? Yes! Schedule a Sales Representative to visit. No, thank you. How did you hear about Witness Security?